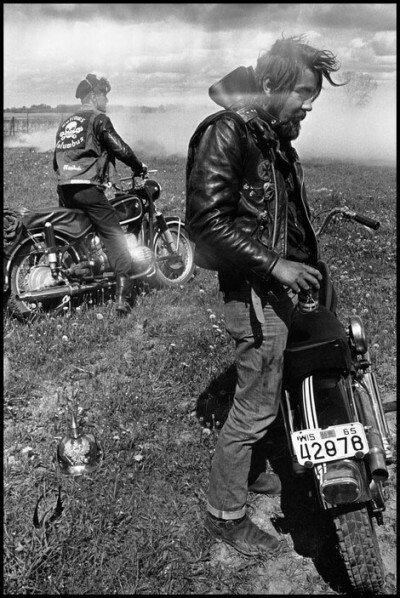 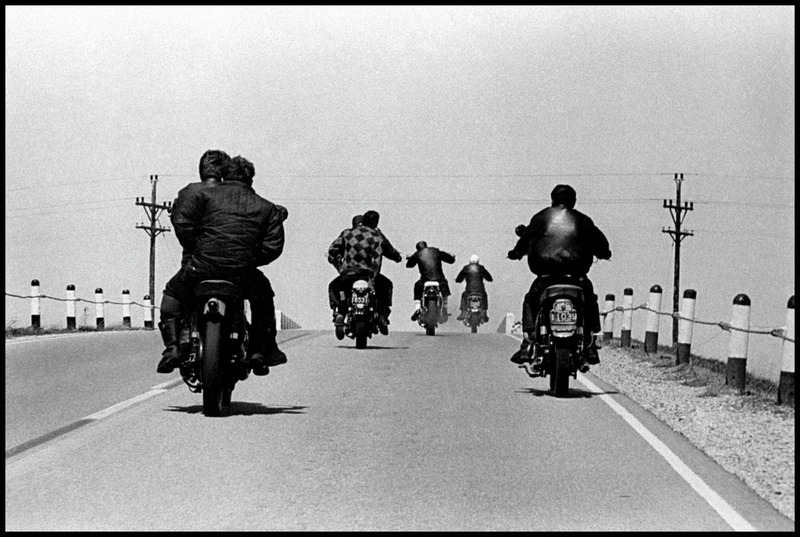 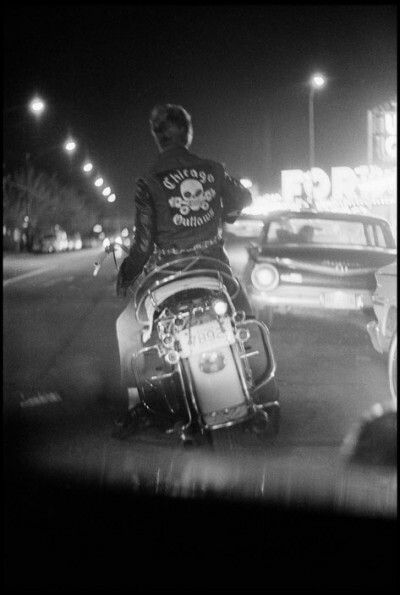 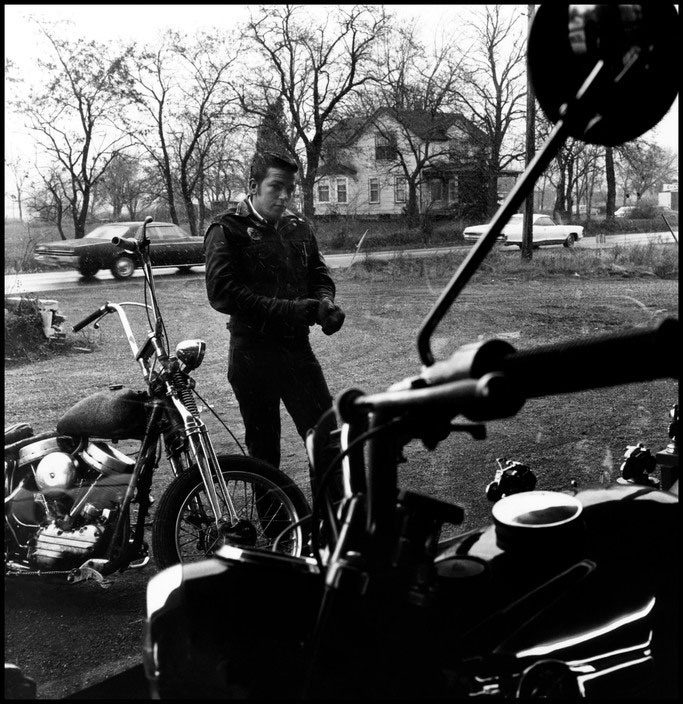 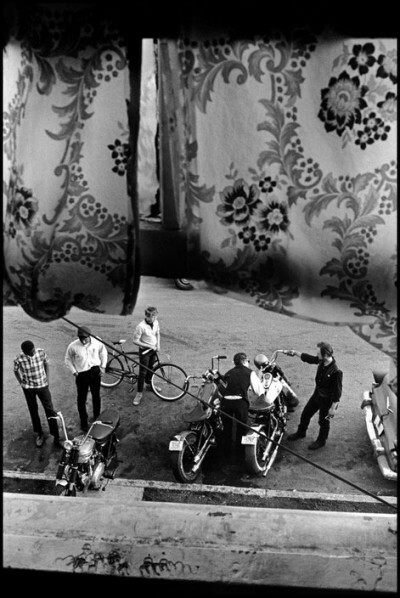 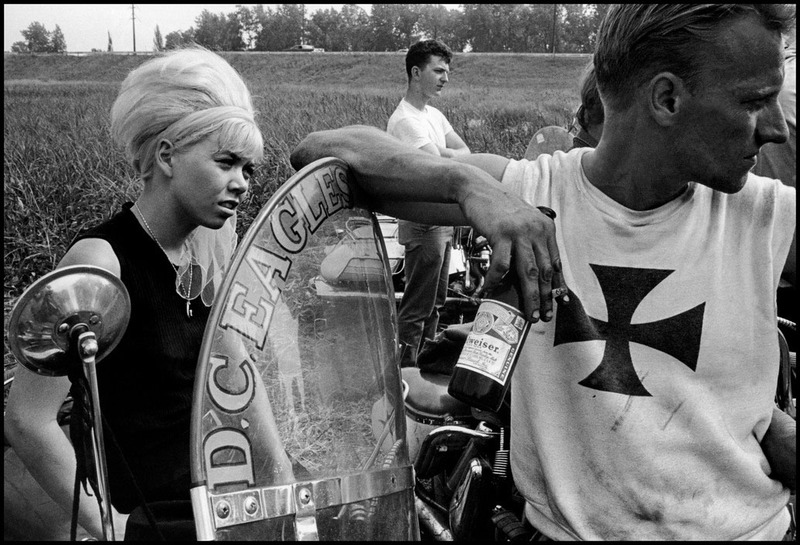 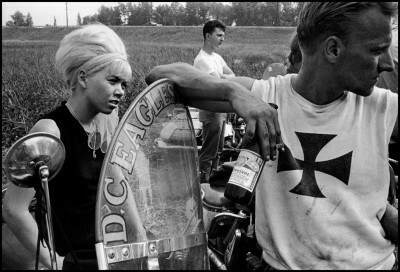 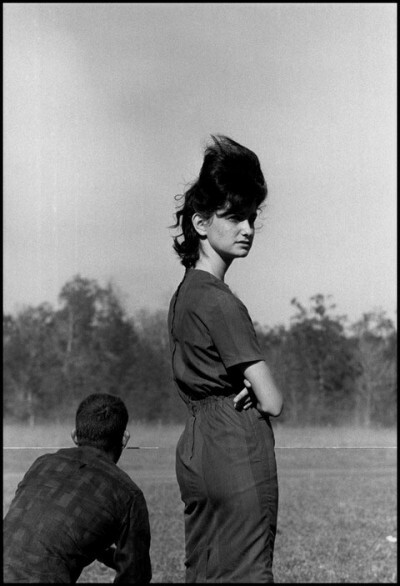 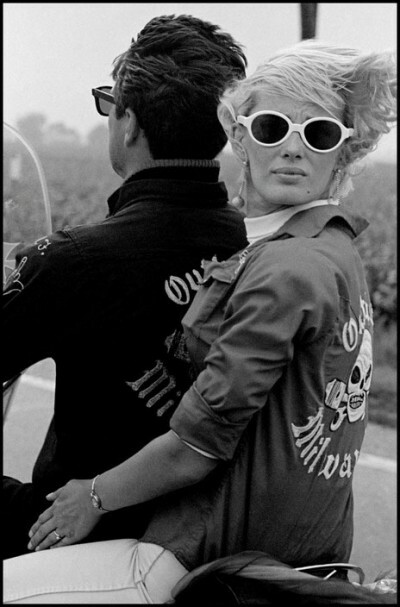 Danni Lyon rode with The Chicago Outlaw Motorcycle Club himself in 1965-1966 and was able to capture intimate moments for his seminal collection, The Bikeriders, 1968. 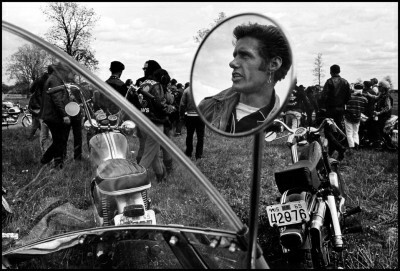 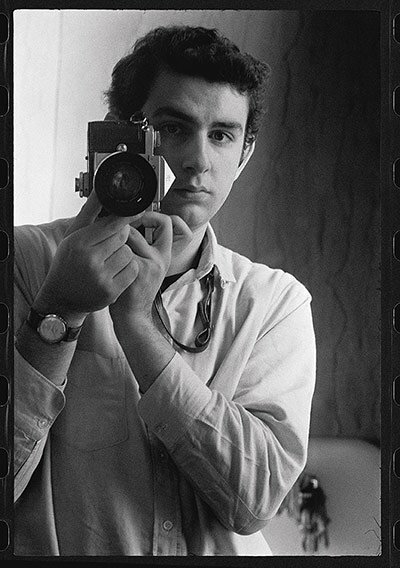 In addition to The Bikeriders, Lyon has published a number of photographic books based upon his experiences with a group of people or in a particular place. 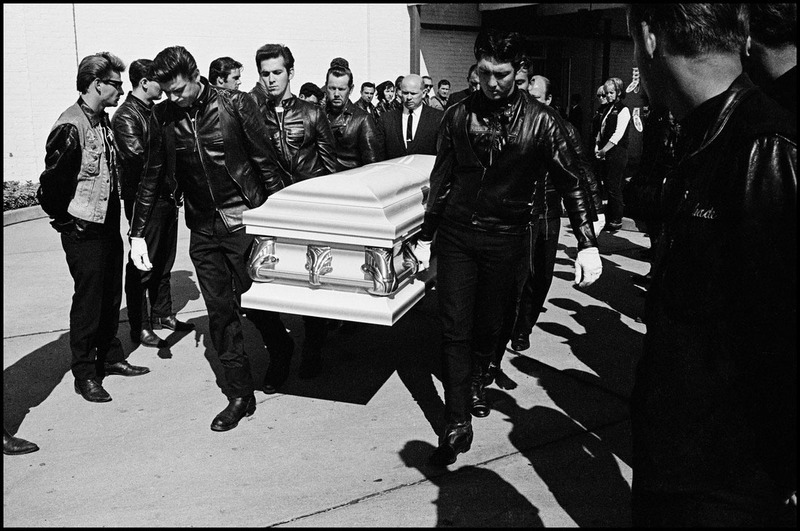 The Movement (1964), about the Civil Rights movement, and Conversations with the Dead (1971), a study of life in Texas prisons. 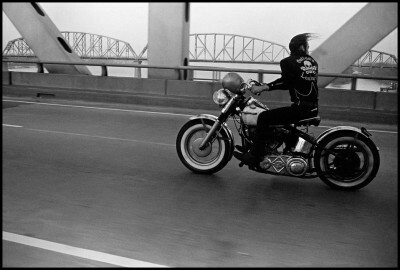 Lyon has been quoted saying “I was a bike rider, a photographer and a history student, probably in that order”. 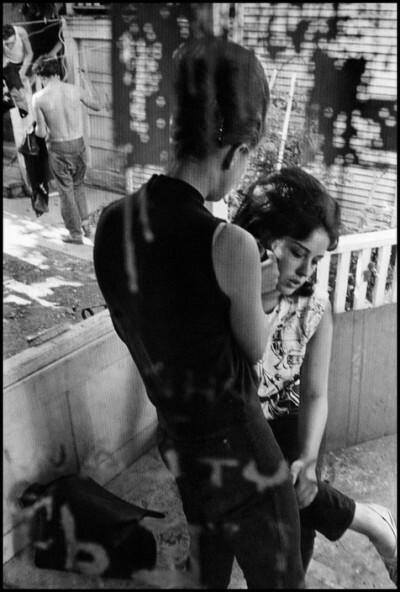 Self-taught, and driven by his passion for social change and photography, the power of Lyon’s work derives from his willingness of immerse himself entirely in the cultures and communities he documents.